A restrained nose offers hints of toasted oak and red fruit laced with traces of cardamom, cedar, sandalwood and lavender. The bright entry showcases the delicious fruit—cherry, pomegranate and cranberry—balanced with nuanced flavors of spicy cedar, leather, vanilla and floral notes. A touch of rhubarb appears as the integrated flavors coalesce in the lingering finish. Integrated tannins and oak allow the wine to be enjoyed now, or cellared to let it to further mature, deepen and evolve. 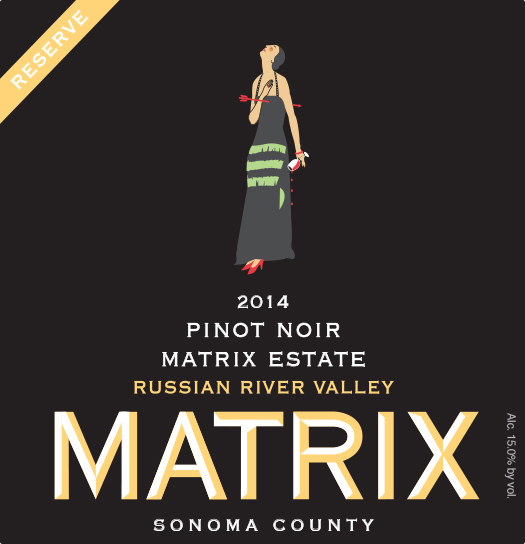 The Matrix Estate Vineyard was replanted in 2007 by Ken and Diane Wilson and is located on Westside Road in the Middle Reach neighborhood of the Russian River Valley. The rolling, bucolic hills of the Estate property are currently planted with Chardonnay, Pinot Noir, Zinfandel, and Petite Sirah.